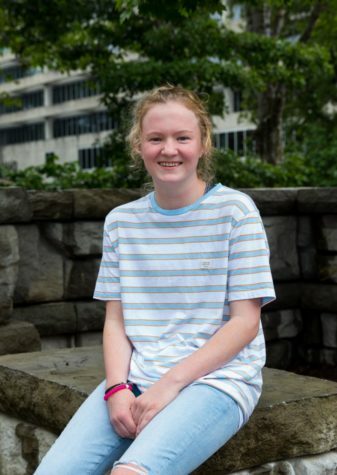 Returning for her second year on staff, Sadie Fitzgerald is excited to take her writing to the next level during her senior year. When she isn’t busy writing the next big sports story for the Wire and piled high with IB work, you can find her either stopping by Chick-Fil-A for fries (or the occasional chocolate milkshake), traveling around Atlanta enjoying all there is to offer, or at home entertaining her kitten, Milo. Although she is known for her chill complexion, Sadie is most certainly enthusiastic to have another great year at NAHS.